Length 16-20 mm. Respect to C. semilaeve and C. simplex, that likewise have elytra more or less elongated with almost parallel sides and sculpture just consisting of punctate striae and flat intervals, C. affine is easily characterized by the metallic green foveae on the primary intervals that stand out on the elytral surface. 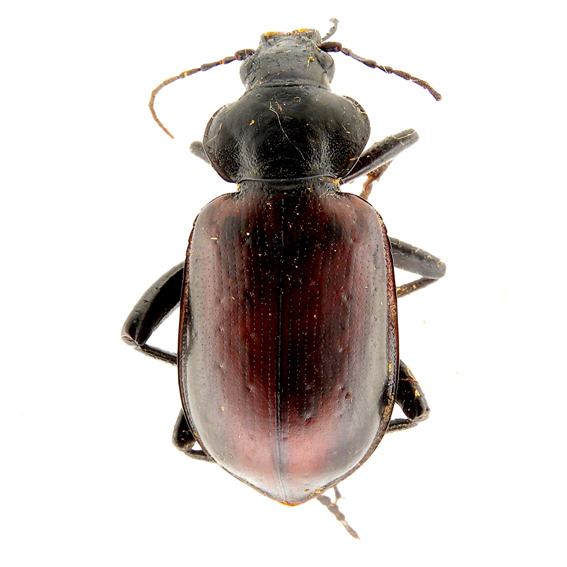 Furthermore, the humerus of its elytra is with a strong serration that is more evident than in the other species of the subgenus. 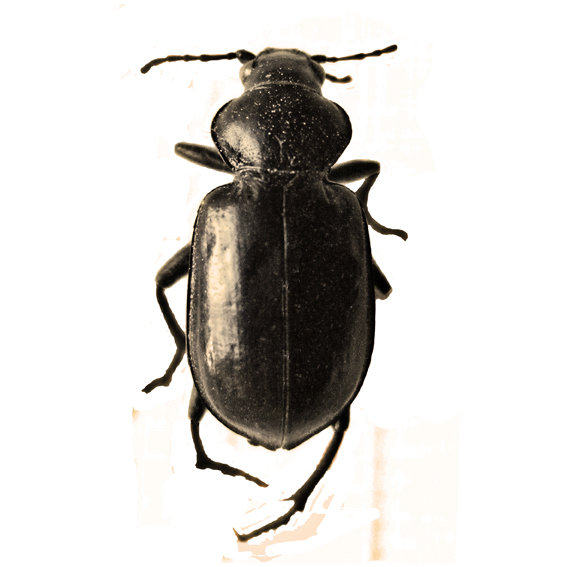 Breuning (1926b: 174), reviewing the description of Bates (1891: 223) of Calosoma ampliator, but apparently without knowing the type, considered it as a synonym of C. affine, followed in this by Jeannel (1940: 169). 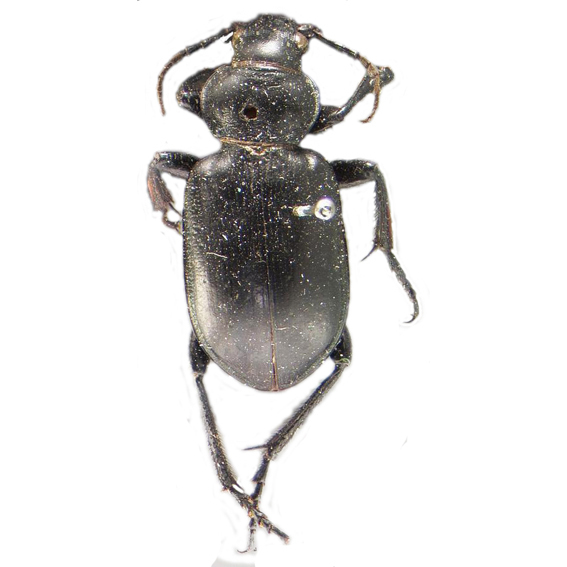 Later Gidaspow (1959: 267) re-evaluated as a species C. ampliator, attributing this name to specimens that in our opinion should be traced back to Calosoma (Camedula) peregrinator, to which should also belong the single specimen described by Bates. 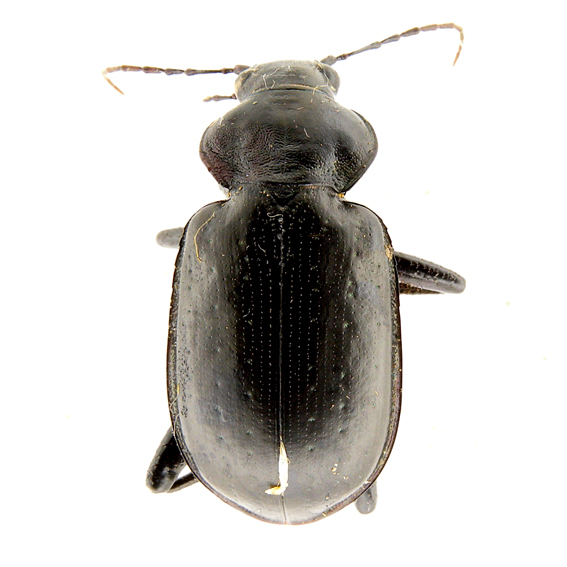 C. affine is present in northern and central Mexico and in southwestern United States, although Bosquet (2012: 239) questions its presence in Missouri (where the type of Calosoma triste should come from) and Arkansas (Burgess & Collins, 1917: 97). United States. Arizona: Apache County, Yavapai County, Gila County, Pinal County, (Gidaspow, 1959: 269), Maricopa County (http://bugguide.net/), Riverside County (http://madrean.org/), Santa Cruz county, Cochise County (UASM), Yuma County (http://madrean.org/); California: Orange County, San Joaquim County, Imperial County (Gidaspow, 1959: 269), San Diego (Burgess & Collins, 1917: 97); Colorado: Fort Collins (Breuning, 1928a: 110), Denver County, Baca County (Gidaspow, 1959: 269); Kansas: Kearny county (UASM); Sherman County, Reno County, Atchison County, Fort Riley County, Kiowa County (Gidaspow, 1959: 269), Hamilton County (https://bugguide.net/ 1312882); Minnesota: Olmsted co., Martin co. (Truman) (Gandhi & al,, 2005: 922); Nebraska (Gidaspow, 1959: 269), Nevada (Erwin, 2007: 74); New Mexico: Water Canyon (sub C. triste Snow,1881: 39), Dona Ana County (Gidaspow, 1959: 269); Oklaoma: Cleveland County (Gidaspow, 1959: 269), Tillman County (http://madrean.org/); Texas: Presidio county (UASM); El Paso County, Live Oak County, Travis County, Nueces County, Hidalgo County (http://bugguide.net/); Denton County (SB), Taylor County (SB), Brewster County, Brown County, Starr County (Gidaspow, 1959: 269); Utah (Erwin, 2007: 74). Notes:Winged, diurnal and nocturnal, sometime swarming in large number of individuals. It can be found in lowlands and mountains up to 2400m altitude. Adults lives on open ground as pastures and tilled fields (Larochelle & Larivière, 2003: 175) and has been cited as a predator of cutworm (caterpillar of Noctuidae family) that causes damage to cotton (Hake, 1996: 264). It is active from April to October, according to Erwin (2007: 74-75), or up to November, according to data of examined material.